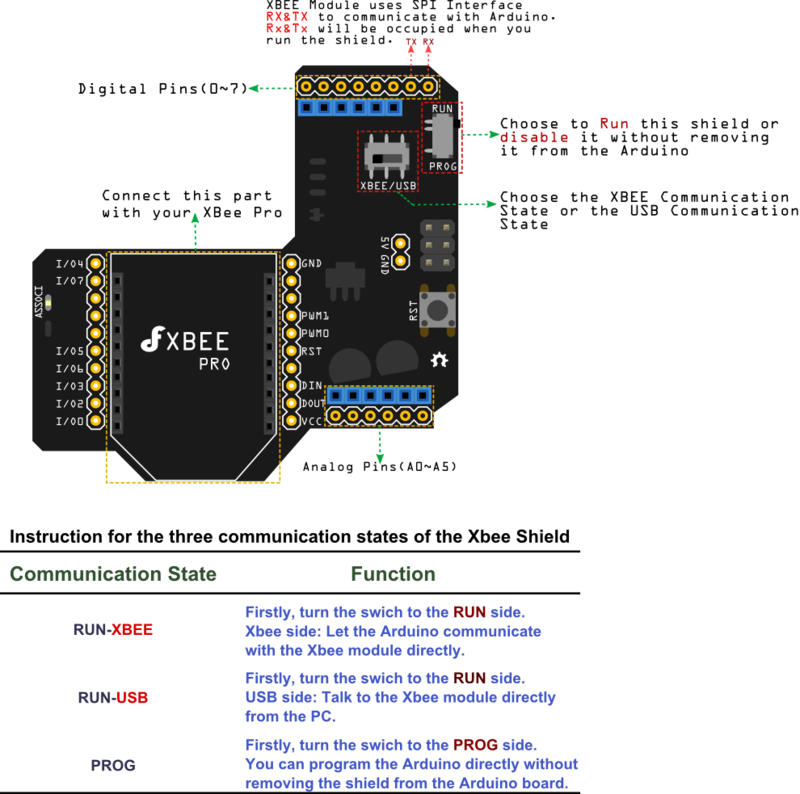 The XBee Expansion Board (no XBee) is a compliant solution designed to meet low-cost, low-power wireless sensor networks with special needs. The module is easy to use, low power consumption, and the provision of critical data between devices reliable transmission. As the innovative design, XBee-PRO can be in the range 2-3 times beyond the standard ZigBee modules. XBee-PRO modules work in the ISM 2.4 GHz frequency band. The MaxStream's XBee (1 mW) Zigbee module is pin-compatible. PROG Turn to "PROG" when programming Arduino processors(UNO/Mega/ADK). 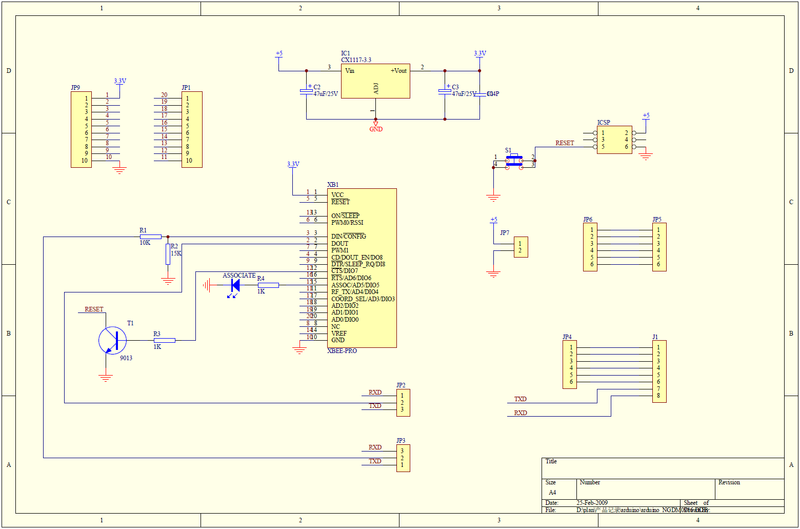 The PROG function is useless for Arduino Leonardo,because its programming interface is isolated from D0&D1 pins. And if using Arduino Leonardo,need to program a simple Serial to Serial1 transparent communication code to configure Xbee setting directly. 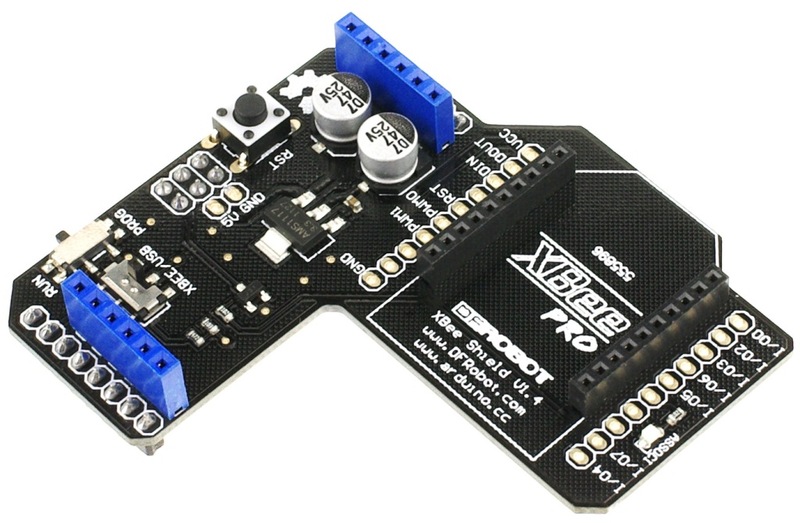 Get Xbee Shield for Arduino from DFRobot Store or DFRobot Distributor.